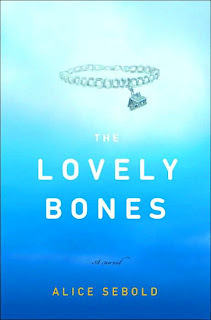 When I heard Peter Jackson, of Lord of the Rings fame, was directing the screen adaptation of Lovely Bones by Alice Sebold - I was all high fives and roger rabbit-ing. And then the reviews came. Now, I'm all furrowed brow and slumped shoulders. Sebold brilliantly tells the story of Susie Salmon, a 14-year-old who is brutally murdered. We follow Susie as she explores her new heavenly home and continues to track her friends and family left behind. It has suspense, humor, and hope. I'll still see Jackson's interpretation, but I'm so glad I have the phenomenal narrrative to cling to. Modern Family is a mockumentary-style sit-com which is my new favorite must-see. And I must be committed because I'm forced to watch online since Nigel thought a fall season of SYTYCD would be pleasant. Three family units all connected by some blood and some crazy. Been there. I heart Manny. Watch the Xmas episode above. My friend Meredith who's introduced me to some of my favorite tunes ev-uh pointed me to Sara Groves. Sara is that perfect mix of lazy Sunday afternoon and on your knees asking for help. She has a new album, Fireflies and Songs, which is another downloadable delight. The song featured here is "He's Always Been Faithful" which I want sung at my funeral. Don't worry, that's not morbid. I love Sara Groves! She's one of my favorites, for that sort of comforting-sounding stuff I need from time to time. Haven't watched Modern Family, but might have to give it a shot, especially since I have to wait until April for more Glee. KO: I think you might definitely like MF -it's quite snarky. P.S. I am in mourning for the loss of Glee. Especially since it returns in the same time slot as Lost. Boo. Aww, I'm flattered to have gotten props. I forgot I turned you on to Sara Groves, but now that you mention it ... I remember listening to her while we painted the Storehouse walls ... the project that seemed to never end. Ahhh, memories.